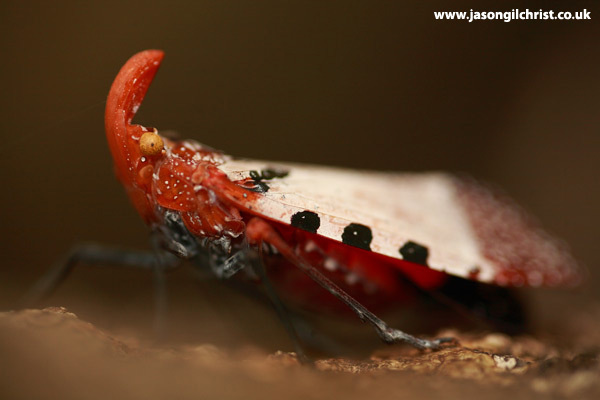 An exquisitely patterned and coloured planthopper - dressed as if ready for a military ball. Dictyopharid planthopper sp. (insect).